The first cracks in the EU's unified stance on Brexit have emerged as France, Spain and Belgium are resisting giving British Prime Minister Theresa May an extension to the official exit date. The embattled prime minister last night challenged MPs to choose between her deal, no deal or risk losing Brexit altogether. She has asked the EU to extend the Brexit date to the end of June, however she said she is not prepared to delay it beyond that. But as Mrs May was making her announcement, the first cracks in the EU's approach to Brexit were emerging with France ready to block an extension unless it gets concrete assurances from the prime minister. Cabinet ministers in Dublin last night admitted they are concerned that French President Emmanuel Macron's "very strident" resistance could result in Britain crashing out of the EU. It has also emerged Spain and Belgium will weigh-in behind France and demand further reassurances from Mrs May before signing off on an extension at today's crunch EU summit in Brussels. 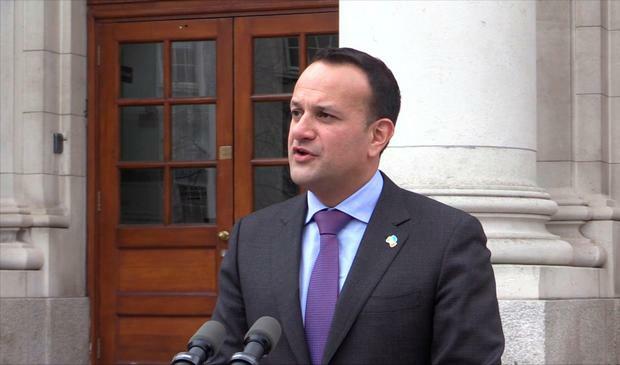 However, Taoiseach Leo Varadkar said it was time to "cut the British government some slack" and extend the Brexit deadline to avoid a disorderly Brexit. "There's a lot of political instability in London at the moment, as people can see," he said. "And there is a real risk, that we wish to avoid, of no-deal happening by accident, despite people's best intentions." Mrs May is now pinning her hopes of passing her Brexit deal and preserving her administration on a third meaningful vote on Tuesday or Wednesday next week. If she fails, as many of her own Cabinet believe she will, Brussels will hold an emergency summit just hours ahead of the March 29 deadline and offer either a long extension or a no-deal Brexit. There is growing speculation that either option would mean the end of Mrs May's time in Downing Street. 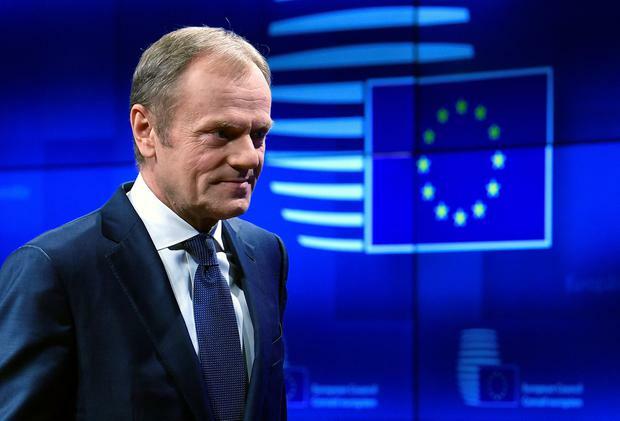 Meanwhile, EU council President Donald Tusk said yesterday Britain would have to pass the Brexit withdrawal agreement before the EU would grant a short extension. He said the question of how long that technical extension would be would remain open - although June 30 poses problems for European elections which happen in May. Ireland will be one of the member states worst affected if Britain crashes out without a deal due to our strong trade ties with the UK. A package of supports for farmers and businesses is still being drawn up with the EU, but has not yet been signed off. The Government has promised it will be ready by next week. Ministers believe the EU ratifying the Strasbourg deal which gave additional assurances on the backstop to avoid a hard Border on the island of Ireland will allow MPs to have a third vote. This is despite a ruling earlier this week that Mrs May can't bring the same deal back yet again. Speaking in Downing Street last night, Mrs May said it was "a matter of great personal regret" for her that Brexit will not go ahead on March 29. In a further move to ramp up pressure on her opponents, she blamed MPs for failing to implement the result of the 2016 referendum. In an address to the UK, Mrs May said MPs - who rejected her deal by 230 votes in January and 149 last week - had been "unable to agree on a way to implement the UK's withdrawal". "You are tired of the in-fighting, you're tired of the political games and the arcane procedural rows, tired of MPs talking about nothing else but Brexit when you have real concerns about our children's schools, our National Health Service, knife crime," she said. EU leaders will meet today in Brussels to discuss the request from Mrs May and they will also hear from the prime minister herself who it is hoped will lay out her strategy. While an extension is still the likely outcome, there are divergent opinions among EU leaders. An extension requires unanimous support from the 27 other EU member states, effectively handing each country a veto at today's summit.